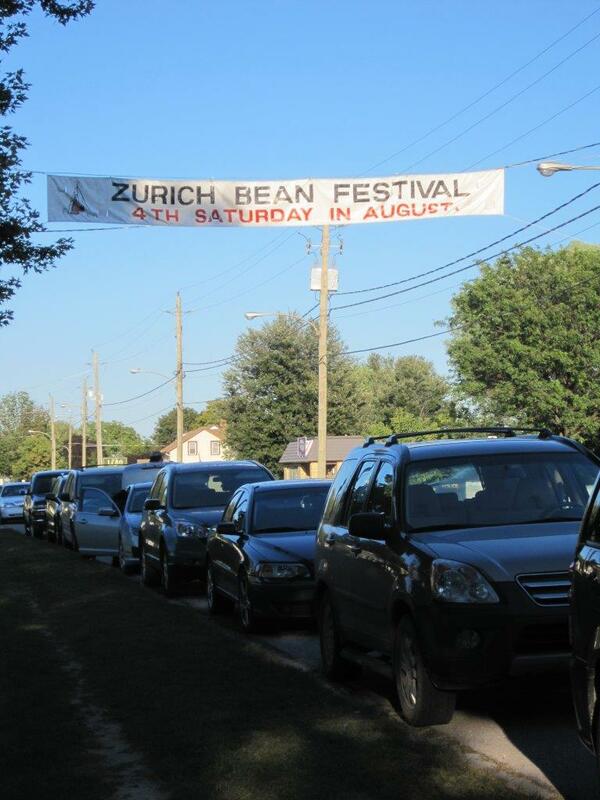 Every year, on the fourth Saturday of August, the little village of Zurich, Ontario becomes the place to be as it celebrates the annual Bean Festival. 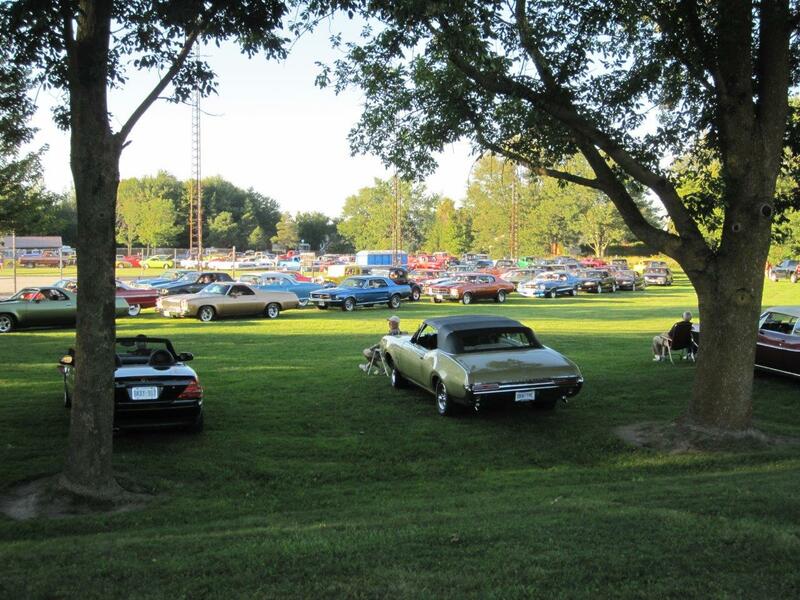 They had about 700 cars registered for this event, so I’ve heard that the Bean Fest is the second largest car show in Ontario! There were tons of people lining the streets in Zurich as the parade of cars started their cruise, and no doubt there were lots lining the streets as they cruised (and honked!) through the other towns. 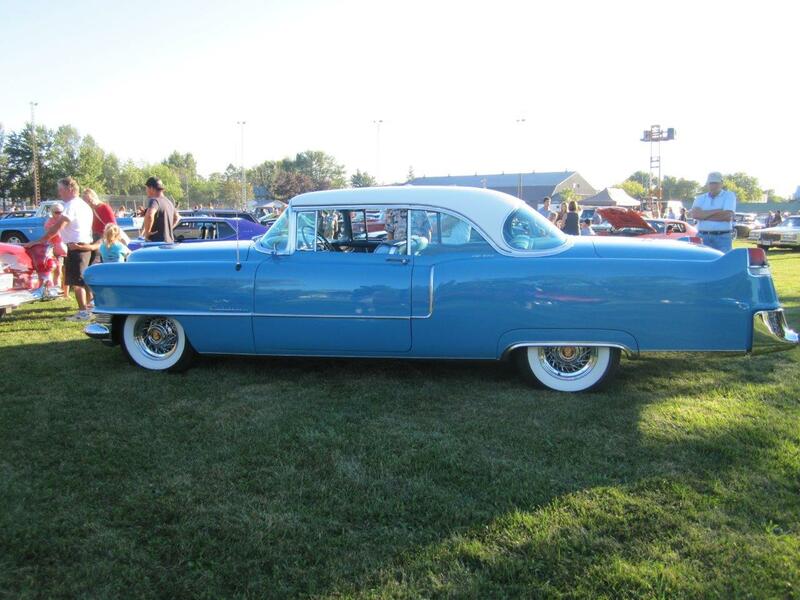 It was a beautiful evening for a drive as the sun was just starting to go down. People even brought their lawn chairs and blankets so they can watch as the cars come back into town! At dusk on Friday, they celebrate with a fireworks show on the ball diamond. all you can eat pork & beans! 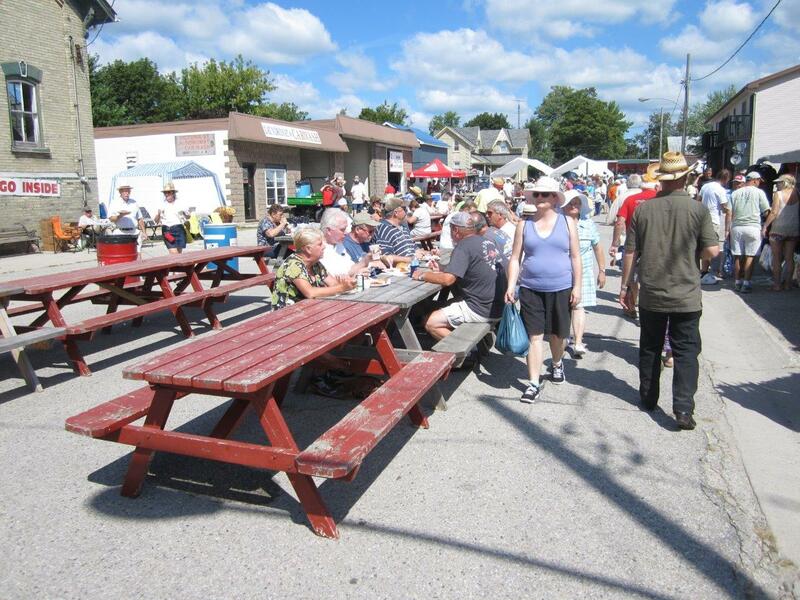 On Saturday, they have a pancake and sausage breakfast, midway, street market vendors, car show, horse ring, bingo, draws, and free entertainment for all ages on the main stage. 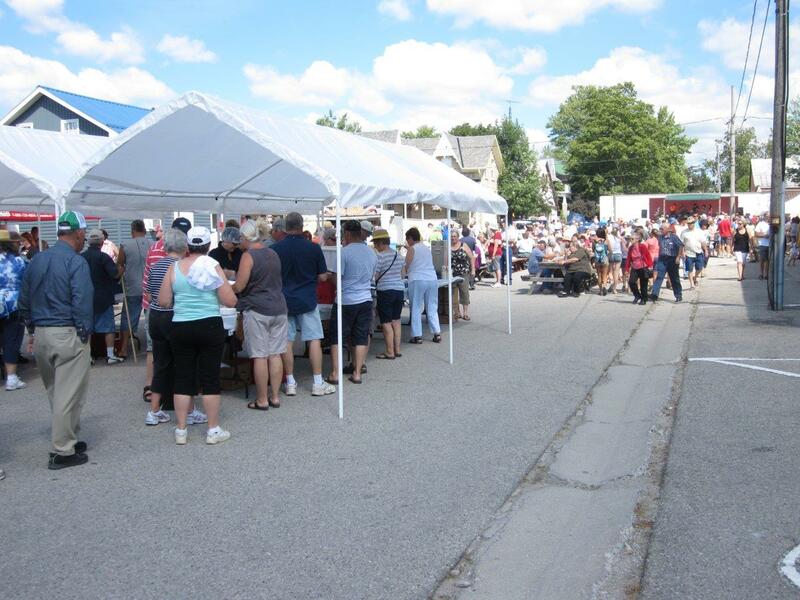 And of course, starting at 11 a.m. on Saturday, people line up as they serve their famous home-cooked all-you-can-eat bean and pork chop dinners for $10 (see photo)! 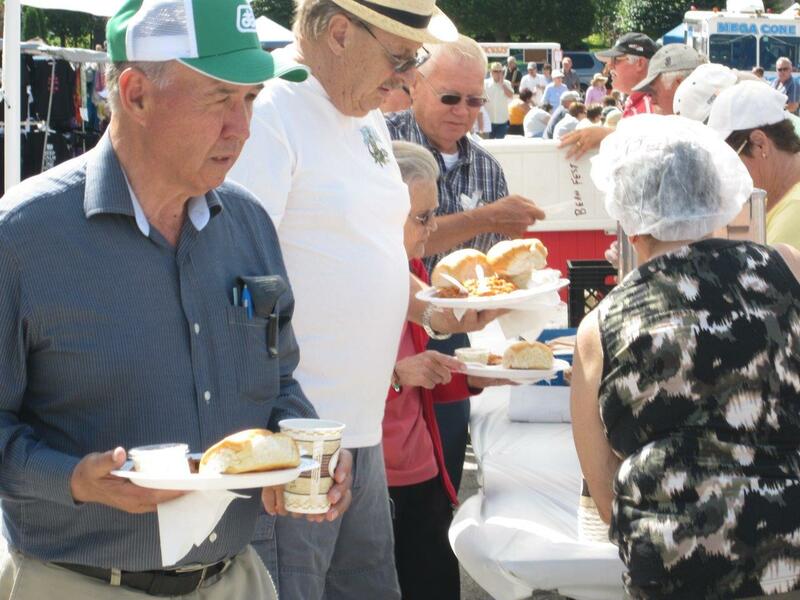 Dedicated volunteers spent hours the week prior preparing the beans. In the evening, there is a dance on the arena ice surface and on Sunday they have an ecumenical church service on the main stage. 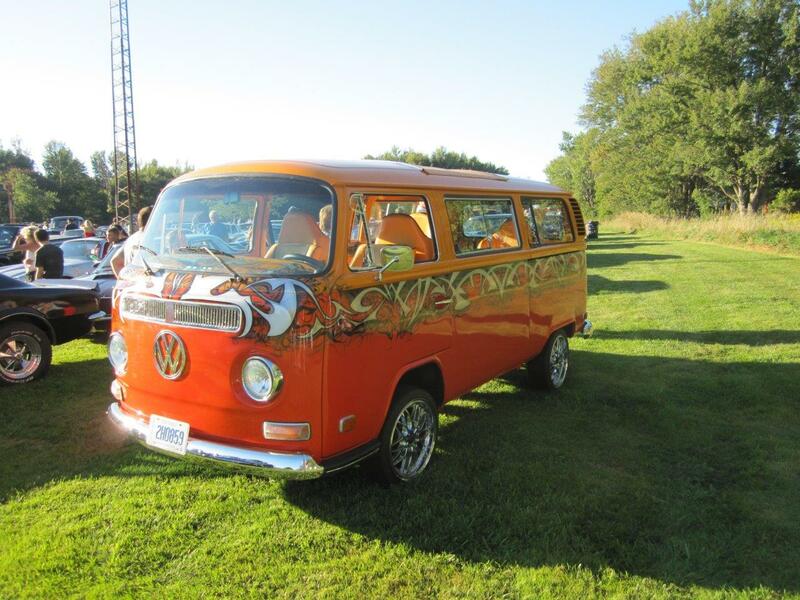 If you missed out this year, the 49th annual Bean Festival will be back on August 22-24, 2014.